Re: Vertex[p1/8] Austrum[p1/9] [29/12] V18 GFX? koontz1973 wrote: Thanks nole, Does anyone have a problem with these two? I would like to start the xmls? koontz, they are good, but i have to wonder if they both could not be down-sized, especially the large which i think is excessively large. seems such a waste of real estate on them given there are so few territories and we are asked these days to watch every pixels we create. i would have to wonder if the small could lose a bit a also. All four maps are within standard sizes so downsizing is not an issue. It would of been an isue if I had gone over them though and then I would of had to look at it. Seamus76 wrote: I have to say the more I look at the maps the more I'm not a fan of the colors. The background, and the outer edge images give me an old time nautical feel, but then there are these really bright colors that are throwing me off. I know you've been playing around with them for CB reasons, but would lowering the opacity still allow them to be different, yet give it the more toned down feel of the rest of the map? The brightness of the glows is purely for CB reasons. 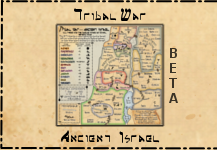 I have had them lowered in previous versions and like you Israel map, they have had to come up for the CB reason. I will download your map and see if I can copy the colours over though and see if that helps at all. Oh koontz i realise that, jees i'm not bloody dumb...and rolling out that line is like rolling out the same old crap that gets rolled out everytime. I am asking you to consider down sizing particarly the large map, because i think it can be down sized and save players some loading bytage every time we play the map, rather than have it large just for the sake of beautiful and i can go that size. We don't have to make all our maps standard size simply because it is there. If you filled up the space with tightly packed territories, then i wouldn't be asking this question. Your right cairns, the map could easily lose some of its size. But I am not going to do it. As for making our maps standard sizes, I only have one map that has been standard size apart from this. You have asked for the large maps to be reduced in size a bit, I have now said no to that as I do not see it as a problem and all maps are within the rule of sizes so this is a non issue. Re: Vertex[p1/9] Austrum[p1/9] [5/1] V19 GFX? New maps. No size change. Vertex has had its glows reduced and two of the colours have been changed to allow for this. Small map now has Arctous added to it as it was missing. Glows turned down. Not going lower as the CB will not allow it. Lower right blue continent now has its glows cleaned up in the large one. Some reason I forgot to do this last time they where changed. could you do a litle more visible connections lines in Vertex? (they a little blend with attitudes/longitudes to me). Oneyed wrote: nice "old" maps. Thanks and all dealt with in the previous posting. The colors are much, much better for me. Looks nice. For the small maps, I'd kind of like the region text to be bumped up in size slightly. Otherwise, looking good. On Vertex I can't find the regions 'Nessar' or 'Aquilonius Supernas' referred to for -1 decay. And Boreus looks like Boreas. And I still don't fully understand the bonus mechanisms. 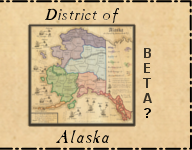 "+1 for every 4 connected regions in a territory"
I hold Icaria, Ionia, Gaulos, Mona, but also Hayes and Carmichael. Does this merit +1 seeing how Mona is connected to the other three blue regions only by sea? Even if that is the case, there are only seven possible +1 bonuses on the Austrum map by my count (Vertex also suffers from this problem btw). Imagine a random drop (do the central regions start neutral? ), then fighting your way through enemy regions and spreading/thinning your troops in order to get a +1 bonus with several borders. It's just not worth the effort. In fact, it reminds me of the St Paddy's Day map. Urgh. Could you make each coloured bonus area into a normal bonus, and ditch the connected regions stuff? AndyDufresne wrote: For the small maps, I'd kind of like the region text to be bumped up in size slightly. Otherwise, looking good. Love to accomidate you here Andy but I already have an issue with some names at the borders and even going over the borders. Bumping the size up will only make this worse. Can I ask though, do you find it hard to read? ManB, your whole post is based on not what is in the thread. Maps with starting positions and neutrals are in the first post. Bonus regions are clearly marked. Ships are not in the bonuses and are shown clearly in the legends. The text for the central part is on the maps and is clearly their. As for making this a normal bonus map, no, why do we need another one like that? Lets have some variety please. As for the blue area in Austrum, their are 10 possible bonuses. The legend clearly says +1 for every 4 regions connected. So if we go on 4 connected, depending on the next territ you take, you can double, triple or even in a couple of instances quadruple the bonus. Love to accomidate you here Andy but I already have an issue with some names at the borders and even going over the borders. Bumping the size up will only make this worse. Can I ask though, do you find it hard to read. If size can't be bumped, what about the strength of the color? Maybe darker would do it, without ruining the color scheme or overpowering it. AndyDufresne wrote: If size can't be bumped, what about the strength of the color? Maybe darker would do it, without ruining the color scheme or overpowering it. Hows this for you Andy? 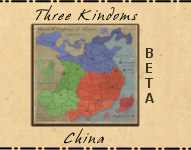 Bumped the opacity up for both maps (small only) territ text. Austrum No real changes. Just minor touch ups. Posting all relevant maps and xml as well. Vertex Just minor touch ups. Posting all relevant maps and xml as well. These are the kind of maps I like... I don't need to really say anything, the community takes care of it all for me, and the mapmakers quickly does their part, have a cookie koontz! Lets hear any final input on graphics, guys. Thanks for the cookie RB0. Just fixed a small problem with Vertex and posted in previous images. Forgive me here, but what does it mean when it says "+1 for every 4 connected regions in a territory"? As far as I knew, regions and territories were synonymous. Does it mean "bonus"? Look forward to playing them. Gilligan wrote: Forgive me here, but what does it mean when it says "+1 for every 4 connected regions in a territory"? As far as I knew, regions and territories were synonymous. Does it mean "bonus"? Yes it does. And like the rest of the map, the bonus has a Latin flare to it. I actually had this the other way round and got told that it was wrong CC terminology. AndyDufresne wrote: Look forward to playing them. I will be sure to set up a game for us when we get to pay. According to instructions page (http://www.conquerclub.com/public.php?m ... tructions2), the new terminology for "bonus" is "zone" and not "territory"? Zone is better then and will change it but does territory confuse that much all the while sounding better? Either way I am good. koontz1973 wrote: Zone or territory? I think territory would cause a bit of confusion as people use it synonymously with region, but it's your call. I don't like the font you've used in the corners or the bridges. ManBungalow wrote: I don't like the font you've used in the corners or the bridges. What is wrong with them, graphically? EDIT: Changed territory to zone on Gilligans advice. I have my doubts about this one as it might cause players in Austrum to ask for the bonus to apply to the ships on the right hand side of the board. Visually this map is a work of art. If I was a lesser man I'd be jealous, but I'm not , awesome graphics koontz, players are going to love this map!